Adam Audio jumps the alphabet from F (the discontinued series) to T. The beloved company is now targeting budget customers, because the prices of T series are not high and specifications are impressive. 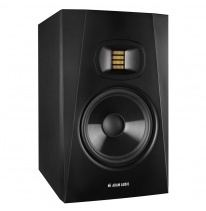 U-ART Accelerated Ribbon tweeter deals with high frequencies up to 25 kHz – this is the number different monitors in the same price range usually do not reach. Polypropylene woofer boasts new design and guarantees solid bass without distortions. 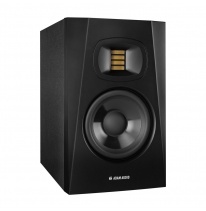 One of the technological innovations T series inherit from more expensive Adam monitors like S and AX is High-frequency Propagation System (HPS). It provides a wide stereo image and minimize wave reflections, which means such monitors are ideal to use in spaces which are not treated acoustically in a proper way (and it is no secret most of our rooms are like this). 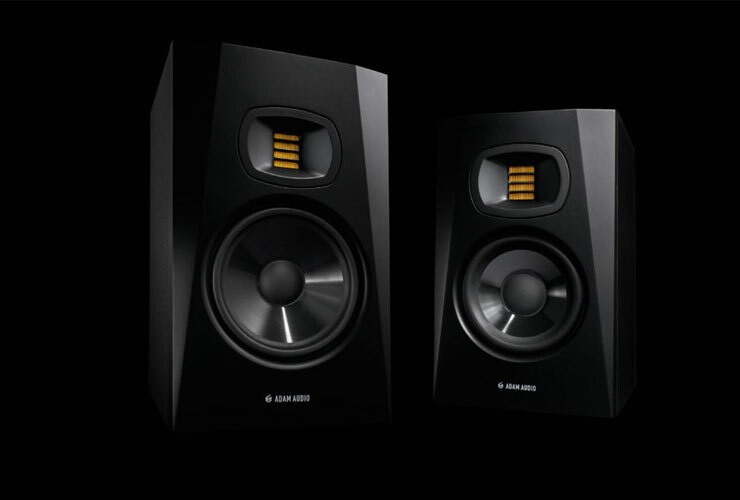 Monitors with D class amplifiers come in two sizes, 5” or 7”, and we are waiting for them in spring.